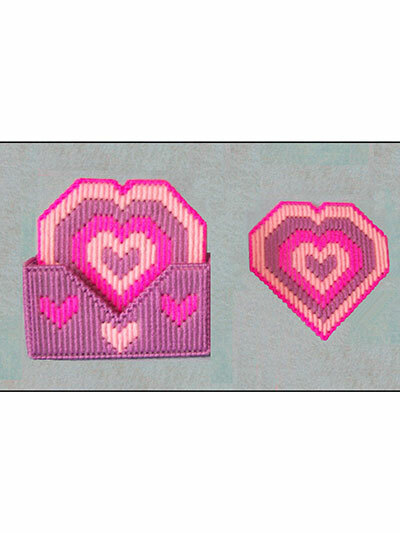 These Winsome cupids spark romance as they pull back their bows on a cute heart wreath made using 7-count plastic canvas and Worsted weight yarn. Add ribbon and picot ribbon to the wreath at the bottom. 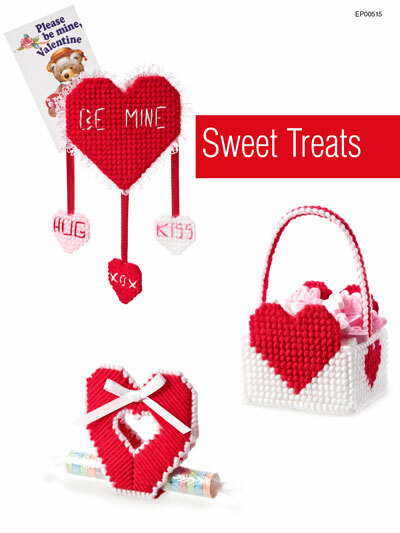 Makes a beautiful gift for someone special or to decorate your home or office with. 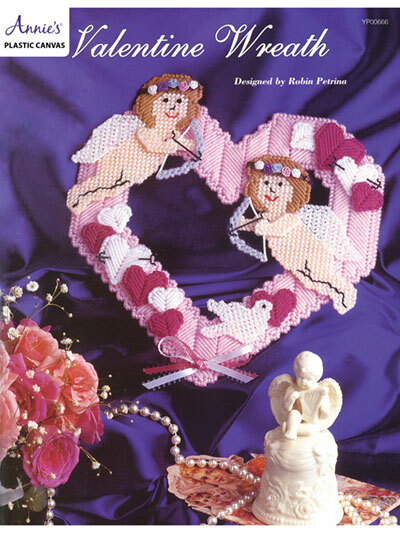 The cute smaller hearts decorate the larger heart wreath and doves surrounded in colors of pink, red and white yarn.